December 1, 1891 – The World’s Columbian Exposition formally assumes possession of the Inter-State Industrial Exposition Building, the impressive building that sits on the lot where the Art Institute of Chicago stands today. The move makes way for movement on the building of the new art museum although there is still no guarantee that the new building will be constructed. The move also leaves the Academy of Sciences without a place for its collection, which has been held in the Exposition building since 1875. The University of Chicago has offered space for the academy on its campus, but the directors of the Academy of Sciences have rejected the offer, saying that it will take the specimens too far from the center of the city. 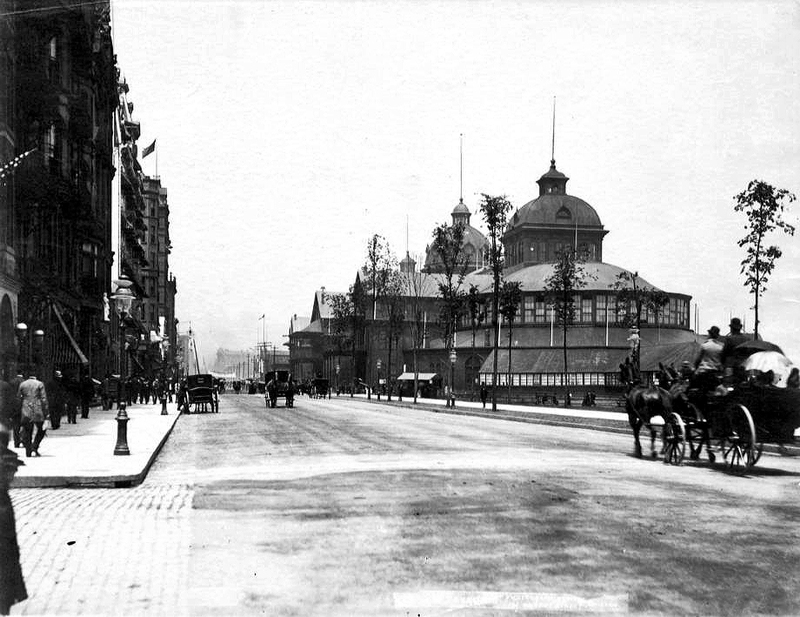 The above photo shows the Inter-State Industrial Exposition Building and Michigan Avenue in 1890.